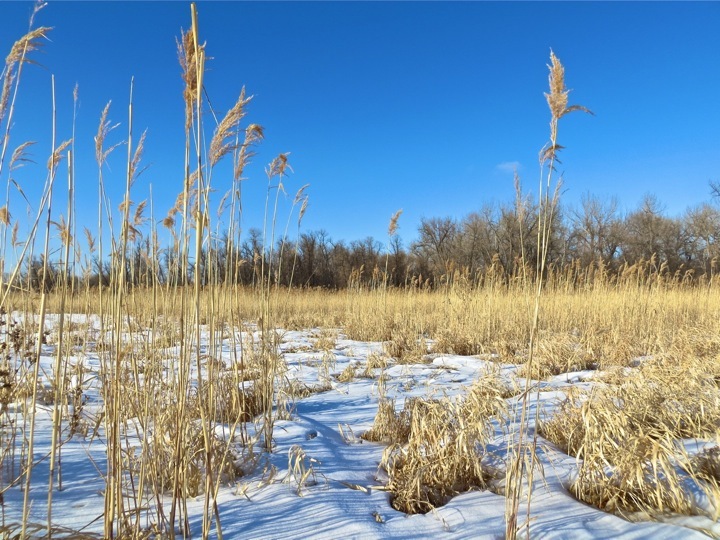 I snapped some photos this last Saturday during a hike along the upper Missouri River bottoms. Here is a brief collection of some of the shots. The Missouri River bottoms just below Mandan-Hidatsa Chief Looking Village in Bismarck, North Dakota. The second photo is the historic steel truss railroad bridge that spans Bismarck-Mandan, and it reminded me of the aesthetics that today are appropriated by steam-punk artists. If you want to know what steam punk might be, click here on this link. 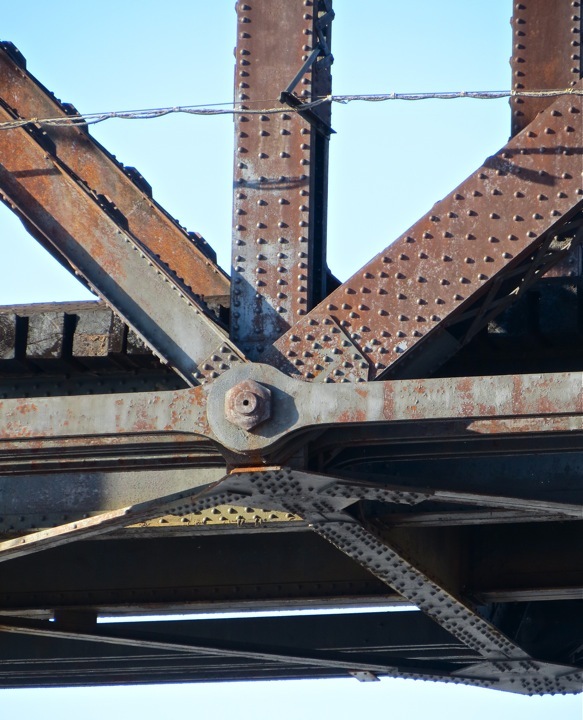 A close up of the historic railroad bridge spanning Bismarck-Mandan. 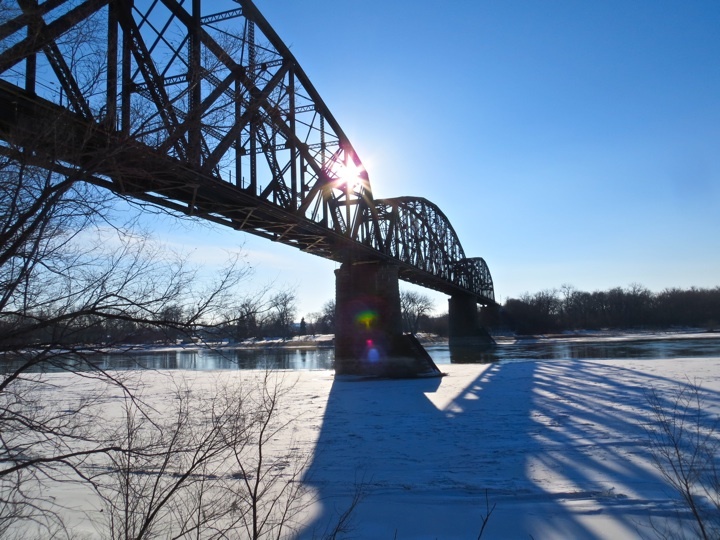 This next photo is an overview of the railroad bridge, with the winter sun setting in the late-afternoon. Historic railroad bridge, looking west toward the winter sun getting ready to set. 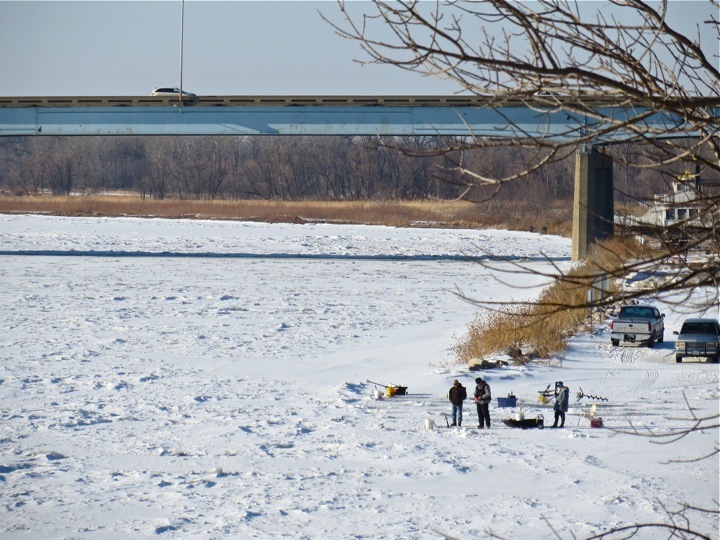 And this final photo is of the icefishing that takes place on the Missouri River at the Grant Marsh boat landing. The I-94 Grant Marsh Bridge is also in the photo, but it does not look 1/64th as nice as the historic steel truss railroad bridge from three and four generations ago. This entry was posted on Sunday, February 17th, 2013 at 8:26 pm	and tagged with Missouri River, North Dakota and posted in Uncategorized. You can follow any responses to this entry through the RSS 2.0 feed.